You may be wondering what you can do with the kids as a treat before Christmas. Something to get the whole family in the Christmas spirit. We would recommend taking one of our motorhomes to London. 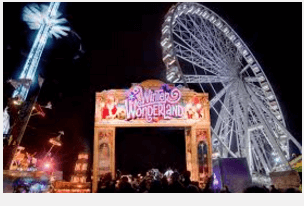 While you are there pay a visit to London’s Winter Wonderland. We paid a visit to London in our motorhome just before Christmas a couple of years ago. We would recommend it, it is best to pre book your tickets as it is a very popular event. This year promises to be a special year as it is celebrating it’s 10th Anniversary. While you are there you can enjoy lots of activities and entertainment.For example ice skating, you will get to try out the UK’s largest ice-rink, there is a Magical Ice Kingdom, a circus show, The Nutcracker on ice, and enjoy over 100 rides. Also there is London’s largest German-style Christmas markets. 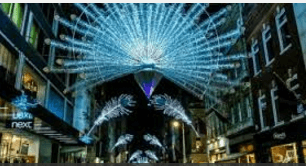 While in London take the time to walk around after dark and see the sparkle of London’s Christmas lights. Enjoy Christmas shopping while enjoying the lights. If you’re looking for gift inspiration, or last minute pressies look no further than London’s Christmas markets and fairs. The capital’s outdoor ice rinks are some of the most magical locations that you will see in the whole of the Christmas season. Try a visit to either Broadgate Ice Rink, Canary Wharf, Hampton Court Palace, Natural History Museum, Somerset House or the ice rink in Hyde Park, (part of Winter Wonderland). If you want to really feel festive you can’t beat an evening of carols. You can choose from concerts in the grander venues such as Westminster Abbey and St Paul’s Cathedral to less formal charity services. Hopefully this has given you some ideas about what to do if you take a trip to London this year. 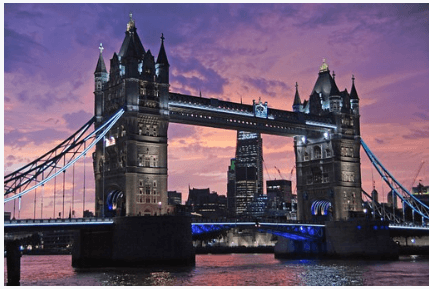 However London offers so many options it would be impossible to list them all in this blog. 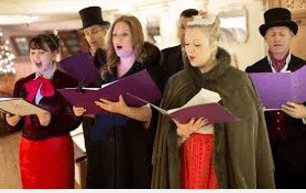 You could try Hogwarts in the Snow, Christmas at Kew, Winter at the Southbank, Christmas Past at the Geffrye, Christmas in Leicester Square, there is so much to in London at Christmas time. If you want to book your London Winter break away contact us today.